Do you find yourself often fatigued and physically tired from stress? The search for an all-natural stress relief is over! 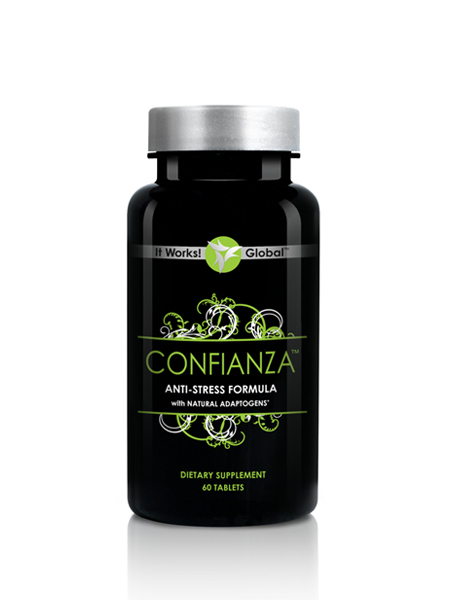 Confianza is a naturally based supplement that increases your energy levels while reducing fatigue and helping with stress relief. You can take it for a variety of reasons and it always helps you to feel better and reduce stress. I take Confianza on business trips, when I have a heavy work-load, or any time that I feel fatigued or stressed. Its special blend of herbs was developed to provide a safe way to enhance your ability to cope with a stressful life. Stress relief has never come so easily! Confianza’s proprietary blend of herbs includes many ingredients called adaptogens. Adaptogens describe herbs that help the body adapt to and defend against the effects of stress. Adaptogens increase the body’s non-specific resistance to stress and may enhance vitality. These ingredients in Confianza can help restore balance within your body. If you have questions about Confianza check out the FAQ page or email me!